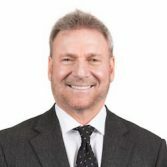 Dr. Marc Weinstein graduated from NYU in 1976 with his DDS degree. He then completed a one year general practice residency at Mount Sinai Hospital and was an attending instructor for many years. Dr. Weinstein is Dawson trained and graduated from Implant Maxi Course Surgical Program at NYU. He is a member of ADA, NYS Dental Society, First District Dental Society, American Academy of General Dentistry, American Academy of Implant Dentistry, and is a Fellow of the International Congress of Implant Dentistry. He was also elected to Consumer Research Council of America’s Top Dentists. Dr. Weinstein is passionate about all dentistry, especially cosmetic and implant dentistry.